What does it mean to watch two-hour long news programmes every evening? Why are some people 'addicted' to the news while others prefer to switch off? Television is an indispensable part of the fabric of modern life and this book investigates a facet of this process: its impact on the ways that we experience the political entity of the nation and our national and transnational identities. 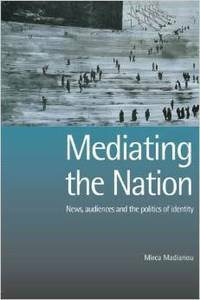 Drawing on anthropological, social and media theory and grounded on a two-year original ethnography of television news viewing in Athens, the book offers a fresh, interdisciplinary perspective in understanding the media/identity relationship. Starting from a perspective that examines identities as lived and as performed, the book follows the circulation of discourses about the nation and belonging and contrasts the articulation of identities at a local level with the discourses about the nation in the national television channels. The book asks: whether, and in what ways does television influence identity discourses and practices? When do people contest the official discourses about the nation and when do they rely on them? Do the media play a role in relation to inclusion and exclusion from public life, particularly in the case of minorities? The book presents a compelling account of the contradictory and ambivalent nature of national and transnational identities while developing a nuanced approach to media power. It is argued that although the media do not shape identities in a causal way, they do contribute in creating common communicative spaces which often catalyse feelings of belonging or exclusion. The book claims a place in the emerging sub-field of media anthropology and represents the new generation of audience research that places media consumption in the wider social, economic and political context.